At 140 square feet, it is cozy. But it has a warm bed and a roof overhead, which, advocates say, could make the house feel like a home to any of the 2,000 youths who are homeless every night in Toronto. The micro model home was built by young people who have themselves been homeless, with support from Eva’s, a non-profit youth shelter. The home features a small bedroom, bathroom, and sitting area -- the basics of what a young person in search of shelter would require, noted Dave Bedini, Eva’s Program Lead. Draco, a 21-year-old who did not give his lastname, moved to Toronto from a small village in British Columbia in 2017 and was homeless for a year in his new city. He eventually found shelter at Eva’s – and helped create the tiny home. His team says city hall could consider tiny home communities as an affordable housing model – similar to initiatives piloted in American cities like Seattle and Kansas City. 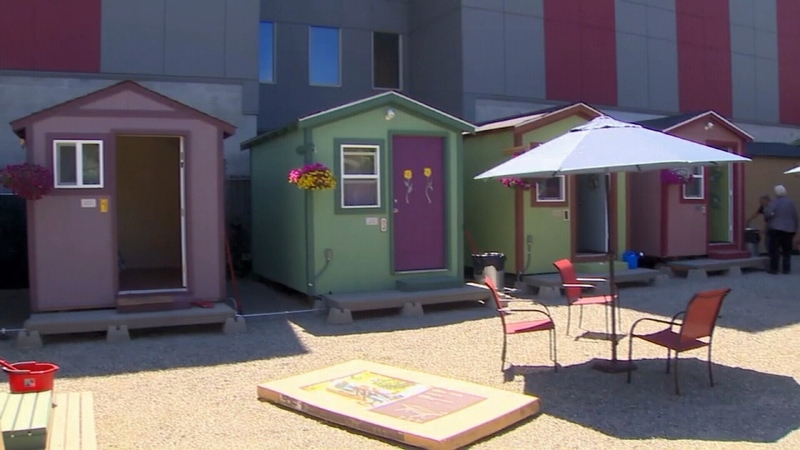 The design team at Eva’s says any details about cost and location would have to be explored down the road if the city ever considered the initiative, but that the 11 surplus lands that council recently committed to affordable housing projects could function as temporary locations for the tiny homes. Having been through months of homelessness, Draco insists a tiny home is better than no home at all, said. Tiny homes communities are seen in American cities like Seattle and Kansas City.